Alongside the exciting new character on the way to Smite, Hi-Rez Studios has previewed the upcoming fourth season and many of the changes that are in store for players. Among the studio's announcements today at the ongoing Hi-Rez Expo were a wide range of details on Season 4. The Celtic pantheon makes its debut in the 3.25 patch with the addition of The Morrigan, a new Mage who can transform into other characters. Coinciding with this, a special Path of the Phantom Queen event will soon begin where you can unlock skins and items by completing certain tasks. This will be a paid event, though Amazon/Twitch Prime members will get free access. Also coming this year is a new map for Clash. This will be themed around the Egyptian pantheon and sees some significant changes to its layout. It remains a two-lane map, but the Gold Fury and Fire Giant are both gone. Buff camps have been adjusted; they'll be more difficult to defeat as the match progresses but offer improved buffs. A new boss, Apophis, eventually emerges in the middle of the map and provides an unspecified buff. Units and towers look different, with phoenixes now attacking in a new way. Rather than the usual method of attacking, it shoots a constant beam that increases in damage over time. Items are changing as well, though we don't yet know many of the specifics. Broadly, starter and tier 1 items will be reworked, and Relics can be upgraded for gold. New Relics are being introduced and others removed, and two new types of items will be added. Rituals are expensive, one-use consumables, while Containers are consumables that can be refilled back at base. Having experimented with cooperative content like Xing Tian's Mountain and Fafnir's Winter Wonderland, Hi-Rez will offer more Smite Adventures, as they're now called. These are described as "episodic events" that offer rewards unique to that event. Ranked play's schedule receives a shuffle to align it with the Spring/Summer/Fall format of the professional scene, with each leg resulting in a soft reset and a new ladder to climb. The season ticket will become free for all players, with new paid elements on offer. The overall UI gets a refresh, and it'll be possible to queue up for multiple playlists at once. 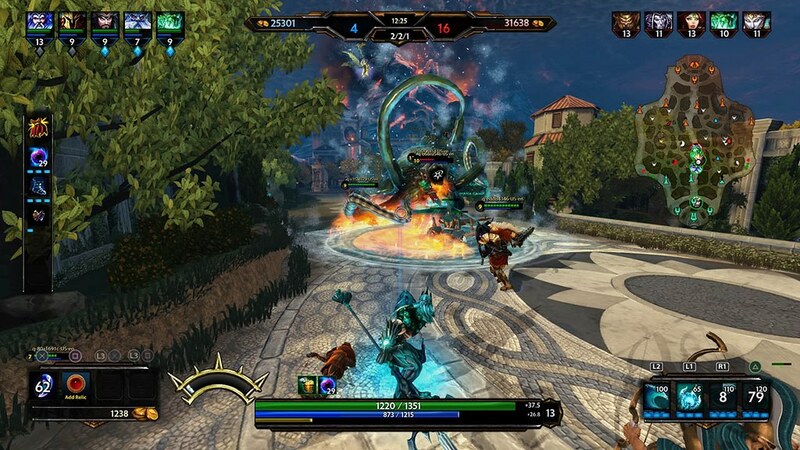 Specific dates for all of this have yet to be announced, but it's clear that even with two spinoffs in development, Smite support continues to be strong.